Join us as we kick off the three-night event with the EFP debut of several great short films at the February Emerging Filmmakers Project! Featuring a collection of hilarious shorts and audience favorites from 2018, the Comedy Shorts block is an annual tradition at EFPalooza and not to be missed! Our Friday night late block features films with a dark, creepy, or scifi element. A block featuring the work of Patrick Sheridan, longtime host and Executive Director of the Emerging Filmmakers Project. The first half will feature a collection of short dramatic films. Then, in the second half, get a sneak peek at some of the great projects currently in development in Colorado. 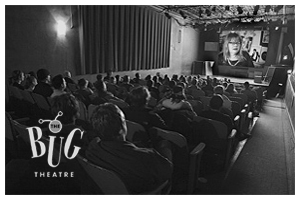 Featuring sizzle reels, teaser trails, and pilot episodes, this is a great chance to meet the filmmakers who are making the films we’ll see in future festivals! Our Experimental & Animated Film block features a collection of experimental and art films, as well as the best animated shorts from Denver’s large and diverse animation community. We’ll close out the festival with another block of amazing short narrative films! 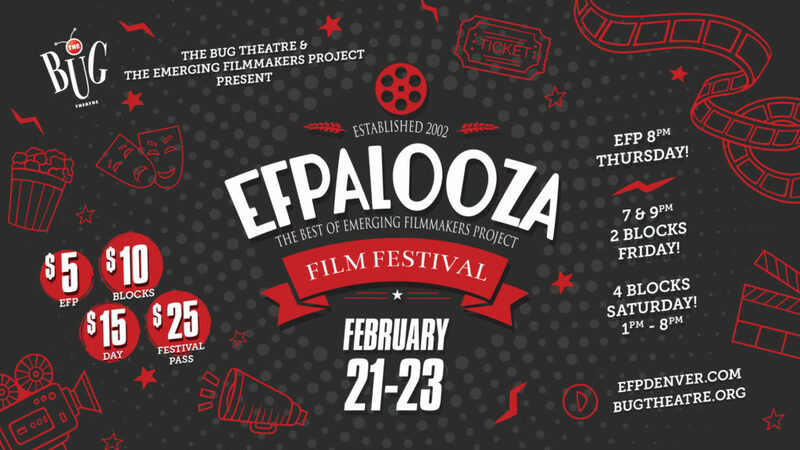 EFPalooza 2019 takes place February 21st, 22nd and 23rd at The Bug Theatre (3654 Navajo Street, Denver, CO 80232), with screenings at 8:00 p.m. on February 21st, at 7:00 p.m. and 9:00 p.m. on February 22nd, and at 1:00 p.m., 3:00 p.m., 6:00 p.m. and 8:00 p.m. on February 23rd. Tickets are $5 for Thursday, $10 a block, or $15 a day, or a full festival pass can be purchased for $25. To learn more visit the EFP website at www.efpdenver.com and The Bug Theatre’s website at www.bugtheatre.org.